Trim Enabler 2.0 has been released to let you enable the Trim function and S.M.A.R.T. monitoring system for non-Apple solid state drives. 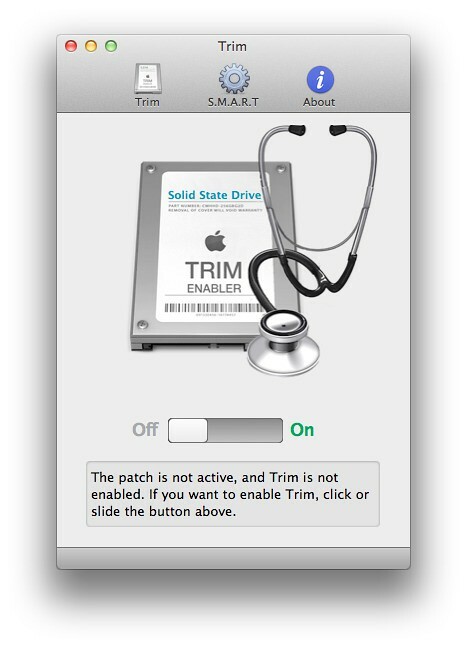 With Trim Enabler, you can enable Trim for third party Solid State Drives in Mac OSX. Trim is a command that is executed in the background by the operative system when you delete files, informing the SSD that the blocks are no longer in use and can be deleted. By doing this, the SSD can avoid slowing down future write operations to those blocks. Using the S.M.A.R.T monitoring system, Trim Enabler let's you view information that is relevant to the health of the drive. Solid State Drives do not last forever, but by using the S.M.A.R.T tool you can detect issues such as rapidly increasing amount of written data, and increase the lifetime of your SSD.